West Virginia is home to the single largest scenic recreational area in the United States, the Allegheny Highlands. Eighty percent of the Mountain State is forested, providing excellent outdoor recreational opportunities and photographic views—all within a day’s drive of more than 20 major eastern cities. West Virginians get to enjoy the beauty of the countryside, without losing all the benefits of the city. Teachers in West Virginia can proudly present their state’s history to their students. West Virginia was established in response to Virginia seceding from the union after Lincoln was elected; those in the west of the state wished to remain in the union, and abolished slavery in the state to do so. What’s the education climate in West Virginia? How’s the job outlook for West Virginia teachers? What benefits do West Virginia teachers have? What are the credentialing requirements in West Virginia? 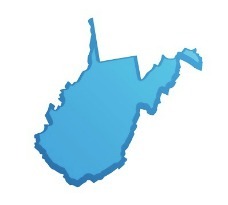 Recently receiving a flexibility waiver from some of No Child Left Behind’s stringent national requirements, West Virginia is pursuing more state-specific solutions to its public-education needs. But whereas other states are developing reform plans in the face of significant union opposition, unions are playing a significant role in new reform plans and legislation in West Virginia. As a requirement for obtaining the NCLB flexibility waiver, West Virginia established a statewide teacher evaluation program; previously, no criteria for teacher evaluations had been designated at the state level. Teachers in West Virginia will now be evaluated through three means; 80 percent of the evaluation will be according to traditional methods, 15 percent according to goal-setting determined by both teacher and principal, and five percent according to student achievement. The legislation ensures that West Virginia teachers will not live or die according to student test scores. Also, in response to teacher shortages in certain areas, new legislation has opened up new avenues for teaching in the state. In lieu of student teaching, a teaching candidate who has completed all their coursework and passed their examinations may apply for a Teacher-in-Residence position at a school lacking a certified teacher for that subject. Therefore, if a school is in need of a certified chemistry teacher, and has no certified applicants to the position, it may hire a qualified candidate from a teacher preparation program. Such a position will have significant supervision and mentoring (although less than a typical student-teaching position), and will take the place of a student- teaching appointment in terms of qualifying for initial teacher certification. In addition, West Virginia has established School System Collaborative Innovation Zones; these zones will receive waivers from certain state requirements in order to implement more district-specific educational programs. The bill establishing these zones (SB 371) is the result of one particular community’s efforts to improve its education. A public-private partnership in McDowell County resulted in a group of schools, unions, and local businesses joining together in a signed covenant to address varying issues facing that county’s schools. SB 371 formally recognized these efforts, and enables other districts to make these kinds of specific changes as well. In other recent legislation, West Virginia raised the age for compulsory school attendance to 17. It has also implemented new programs for students to obtain GEDs, including working toward a GED while still attending school. Other legislation has increased state requirements for homeschool programs, from submitting educational plans to participating in state examinations; thus, there are some secondary effects to workloads for public-school teachers and administrators as well. West Virginia projects a slight decrease in enrollment figures through 2015. However, an increase in the number of retiring teachers is expected to result in a steady need for new teachers. In addition, the West Virginia branch of the American Federation of Teachers (AFT-WV) has been tracking several consecutive years of teacher shortages in the state’s public schools. The state’s need for teachers is reflected in the number of temporary alternative credentials issued, and its attempt to respond to this situation by creating the Teacher-in-Residence program. With the issue of teacher evaluations now settled and formally codified in state law, the AFT-WV’s next goal is to seek increases in teacher salary in order to attract more teachers to the state. Current areas of teacher shortage include elementary ESL and reading; middle-school mathematics; high-school arts, science, English, foreign language, and mathematics; and special education at all levels. West Virginia teachers work about 186 days out of the year, with 15 weeks of vacation annually and holidays off. Benefits packages include health, dental, and vision coverage, as well as disability and life insurance. Additionally, West Virginia teachers are enrolled in the state’s Teachers’ Retirement System (TRS), and may retire with full benefits at the age of 60 (or as early as 55, after 30 years of experience). Formerly, the state also had the most generous retirement health benefits in the nation, paying 70 percent of retirees’ health-care costs. However, rising health-care costs have forced the state to change this benefit; but in updating their plan the state restructured the state/local payments, moving costs from local schools to the state government. This, in turn, has freed up local moneys for other educational investments, including increases to budgets for teacher supplies and classroom technology. Teacher pay in West Virginia is according to an established salary schedule, going up with years of teaching experience and educational degree attained. In this way, teachers’ pay increases every year—whether or not there have been any “raises” negotiated that year. West Virginia teachers are also supported in their work and professional development. Several organizations in West Virginia (see below) are devoted to teacher development, and to providing educational resources to West Virginia teachers—including substitute teachers. These organizations often publish and discuss research on teaching programs and techniques, and often offer classroom activities or curriculum supplements to improve teachers’ classrooms. In order to be licensed to teach in West Virginia, applicants must have completed a state-approved teacher preparation program. In this program, prospective teachers choose an area of focus for their certification: birth to pre-kindergarten, pre-K/kindergarten, K-6th grade, 5th-9th grade, 5th grade to adult, 9th grade to adult, or pre-kindergarten to adult. Teachers will also need at least 30 semester hours in a core area, such as elementary science, elementary or secondary-level social studies, or elementary or secondary-level mathematics. West Virginia is different from most states in that it requires a core-subject component for elementary school teachers. So if you plan to teach in elementary school in West Virginia, make certain to obtain your degree in-state, instead of trying to get an equivalent degree in another state. All approved teacher-preparation programs also include a number of hours of supervised student teaching; but if a school district has no certified applicants for a particular position, a teaching student who has completed coursework may take the position under supervision through the newly established Teacher-in-Residence program, with this [paid] experience counting in place of student teaching. West Virginia teachers must successfully pass three major examinations in order to obtain their initial teaching certificate: the Praxis I (testing skills in reading, writing, and mathematics), the Praxis II (testing mastery of the teacher’s content area), and the Principals of Learning and Teaching test. An initial teacher certificate is only valid for three years; teachers must continue to further their education in order to renew their license and to advance to a five-year professional teacher license. In order to obtain a Permanent Teacher Certificate, teachers must obtain a master’s degree. Additional details and information are available at the West Virginia teaching certification website.